What is Forensic Accounting and distinguishing forensic accounting services from financial auditing and fraud auditing? All three services involve investigative and examination techniques. The differences lie in the objectives of the engagements, the execution of the procedures, and the parties to whom the auditors are obligated. Fraud auditing The objective of a fraud audit is for the auditor to assess the likelihood that fraud will be detected or prevented in a corporate or regulatory environment. Typically this assessment is made by reviewing existing controls to prevent and detect fraudulent transactions. Recommendations to implement procedures to detect or prevent fraud may also be made. Fraud audits are usually conducted on a proactive basis, and should not be confused with fraud investigations which are conducted after the fact, and possibly by forensic accountants. The fraud auditor is obligated to its employer or client. Forensic accounting The objective of a forensic accounting engagement is related specifically to the issue defined by the party engaging the accountant. The client defines a specific goal, such as calculate the loss, calculate the royalty, calculate the value of the pension plan, etc. 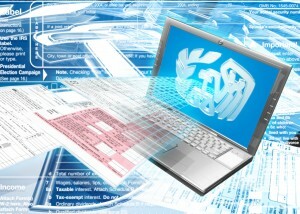 The accountant may use certain examination techniques similar to those used in financial audits but the objective of these procedures is quite different. The forensic accountant, for example, may examine a trail of paperwork to corroborate the calculations needed to meet the specific goal of the engagement. The forensic accountant is not performing an attest function and is responsible only to his client. Ultimately the objective for hiring the forensic accountant is to use the accountant’s conclusions to facilitate a settlement, claim, or jury award by reducing the financial component as an area of continuing debate.